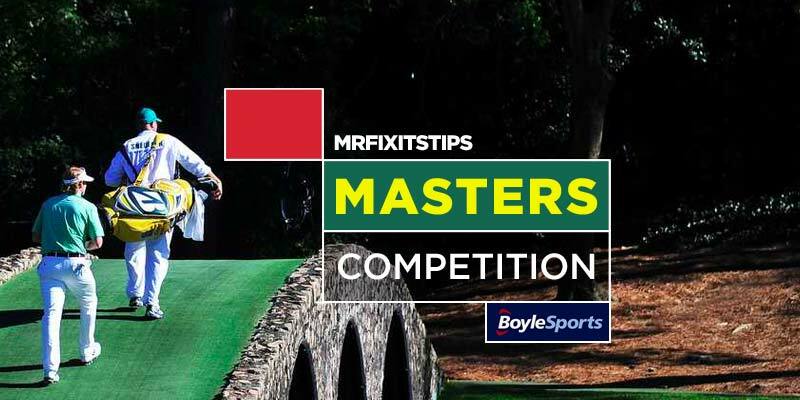 The Masters begins on Thursday and I've teamed up with our friends at Boylesports to bring you another great competition for the weekend of golf at Augusta. Boylesport are paying up to SEVEN places at The Masters and they've given me £150 in free bets to give away so it's a great time to check out their site and open an account. You can claim up to £25 in free bets for UK players and Irish players can Bet €10 and get €40 when you open a new account. As always, the competition is pretty simple. Pick three players to form your Masters Fantasy Team. The person with the lowest combined aggregate score at the end of the tournament will be the winner. To match Boylesports brilliant offer, I'm paying 7 places in the competition; First place will receive a £50 free bet at Boylesports. Runner-Up will get £25, 3rd place £15, 4th and 5th place £10, 6th and 7th Place £5. But that's not all. You can also take part in my BONUS Longshot Competition, whereby the person with the highest finishing player who started the competition at odds of 100/1 or higher will win a £25 free bet at Boylesports. Pick 3 golfers to form your Masters Fantasy Team. They will be the players that earn you points. The lowest aggregate score will win top prizes. If any of your players miss the cut you'll automatically be out of the competition. Also pick a ‘Longshot' – that is a player, who's pre-tournament odds are 100/1 or higher at Boylesports. The person with the highest finishing longshot also wins a prize. Boylesports reserves the right to withhold free bets from selected accounts. Please can you quote that your odds are from Boylesports. It’s one of the few rquirements to enter the competition. Thanks. You can have Fitzpatrick @old_al, the Longshot is 100/1+ (we’ve tidied up the wording!) so inclusive of 100/1. Just confirm one way or the other. I will then if you could swap it for me please. Send the entry again and take him.